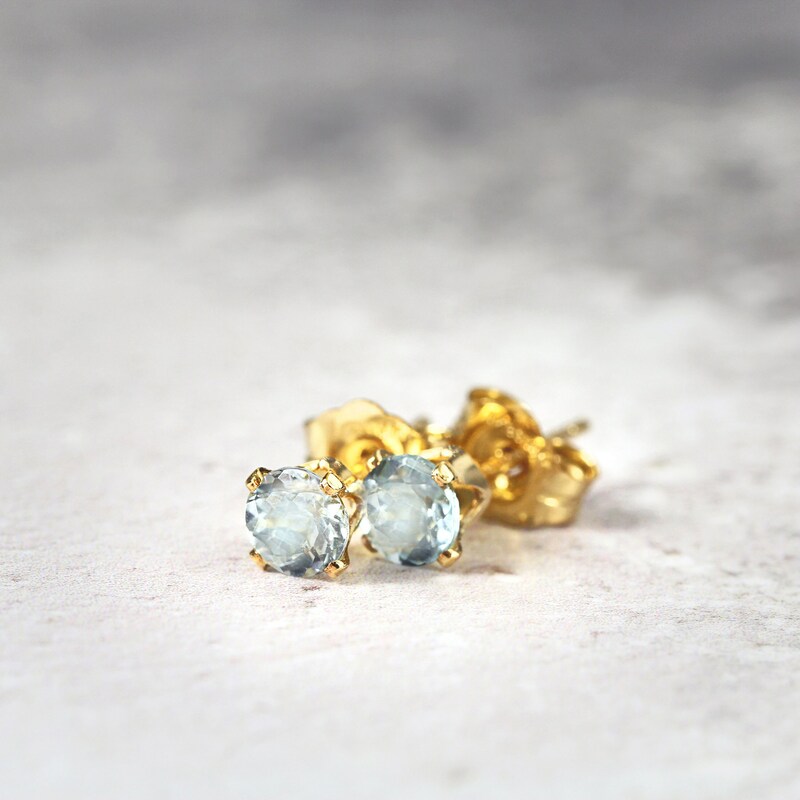 Subtle enough for everyday, but with enough sparkle to carry you through an evening or special occasion, these pale blue aquamarine earrings will bring a beautiful twinkle to any outfit. 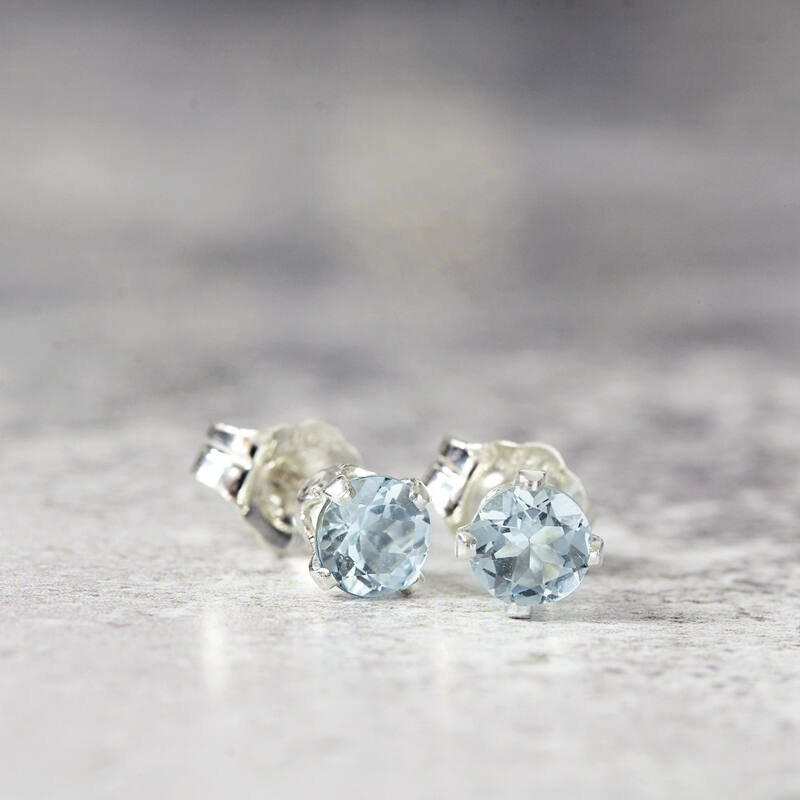 Featuring tiny, 3mm or 4mm, top quality, flawless real aquamarine stones in a faceted round cut and a really pretty clear, pale blue shade. 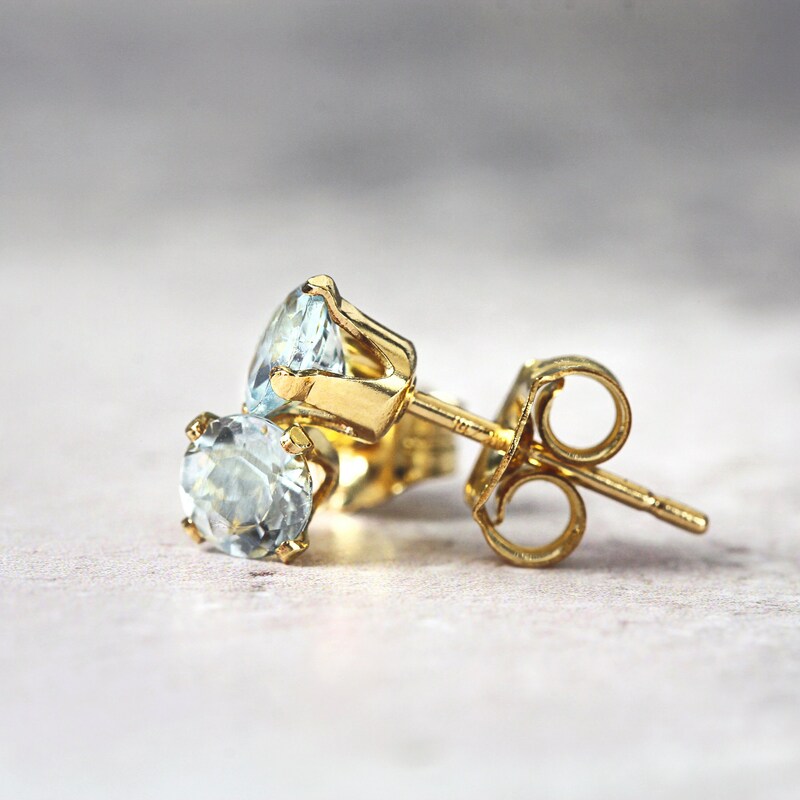 Set into 14k gold fill ear posts, they come with matching butterfly backs. 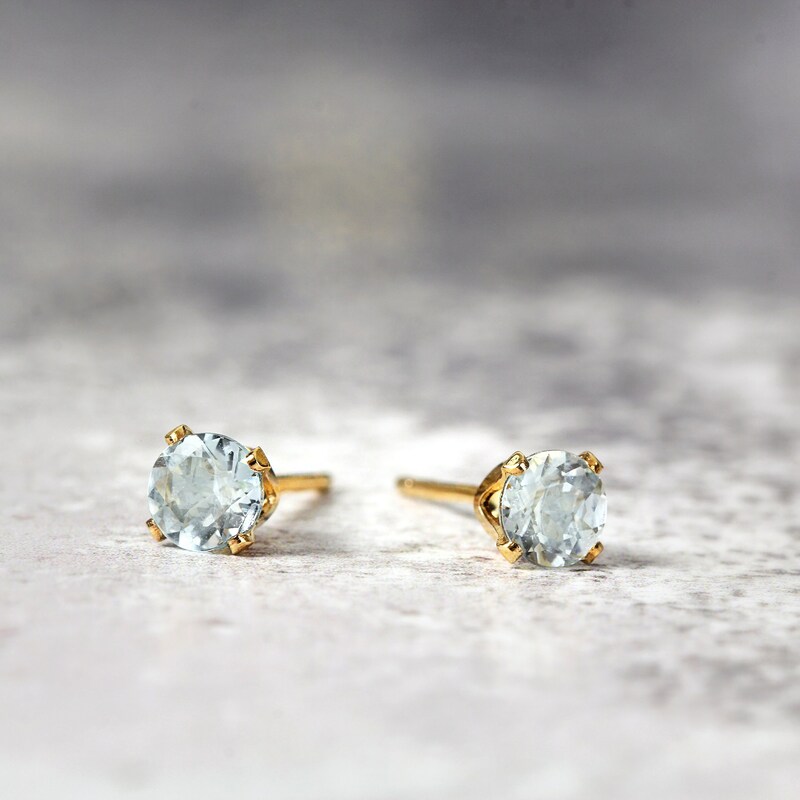 'Gold Fill' is also know as 'rolled gold' and it is the next best quality after pure gold - it is not a plated finish and will therefore not rub or wear off. 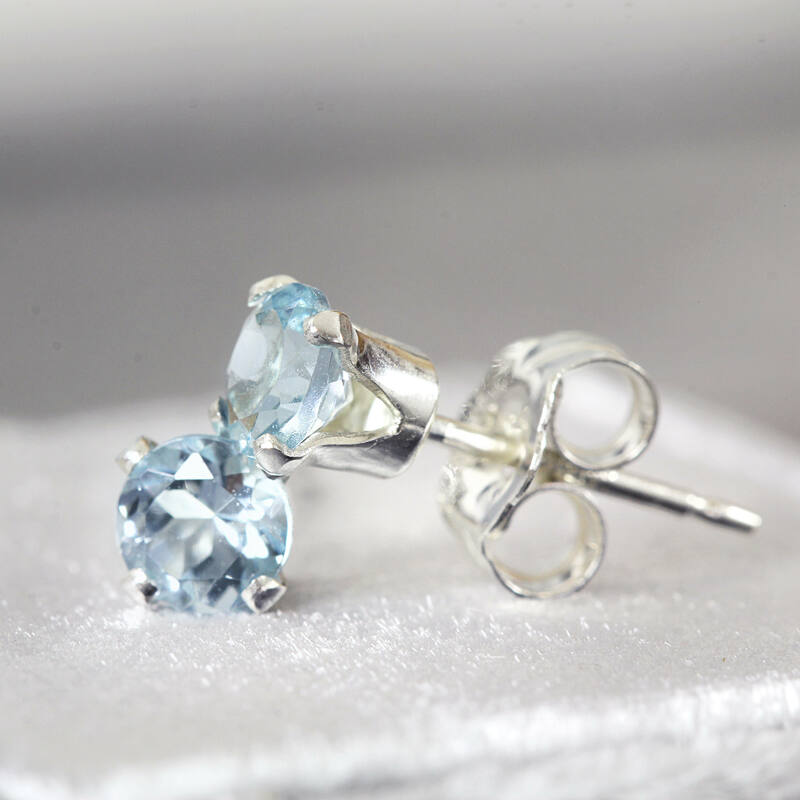 Also available in sterling silver. 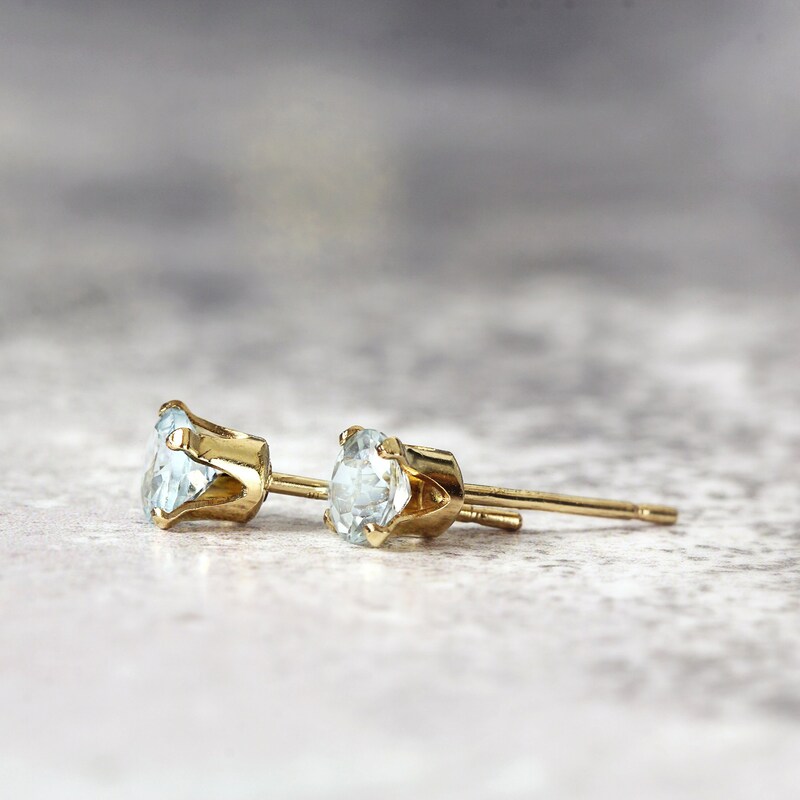 These gold stud earrings make a gorgeous gift for a loved one - for mum, sister, girlfriend, wife or friend - for any occasion such as a birthday, a graduation, an anniversary, Christmas, or Valentines' Day gift. 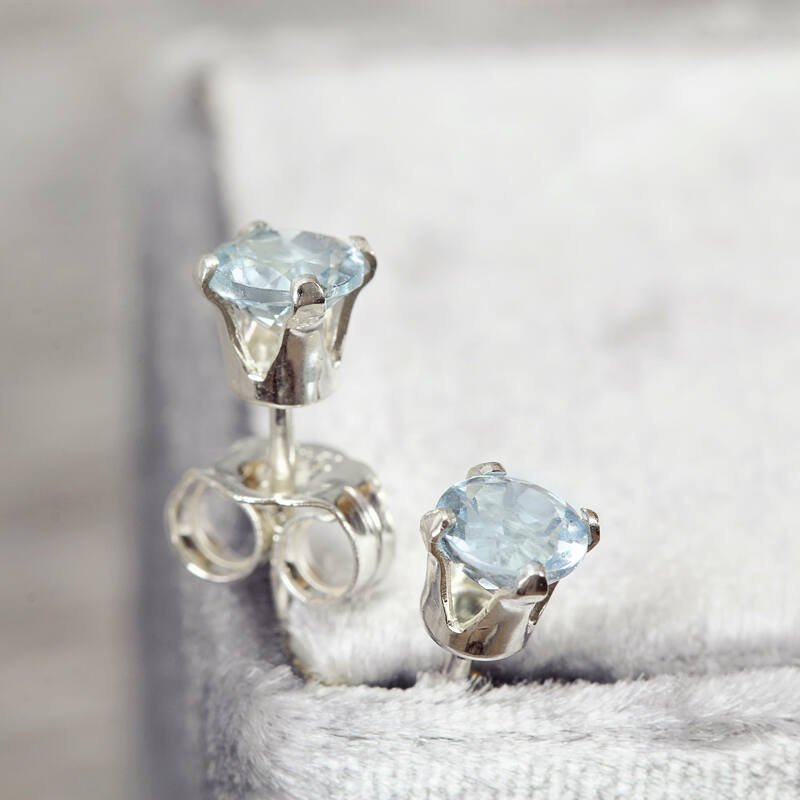 Ideal for those who like their style to be simple, elegant and enjoy gemstone jewellery. 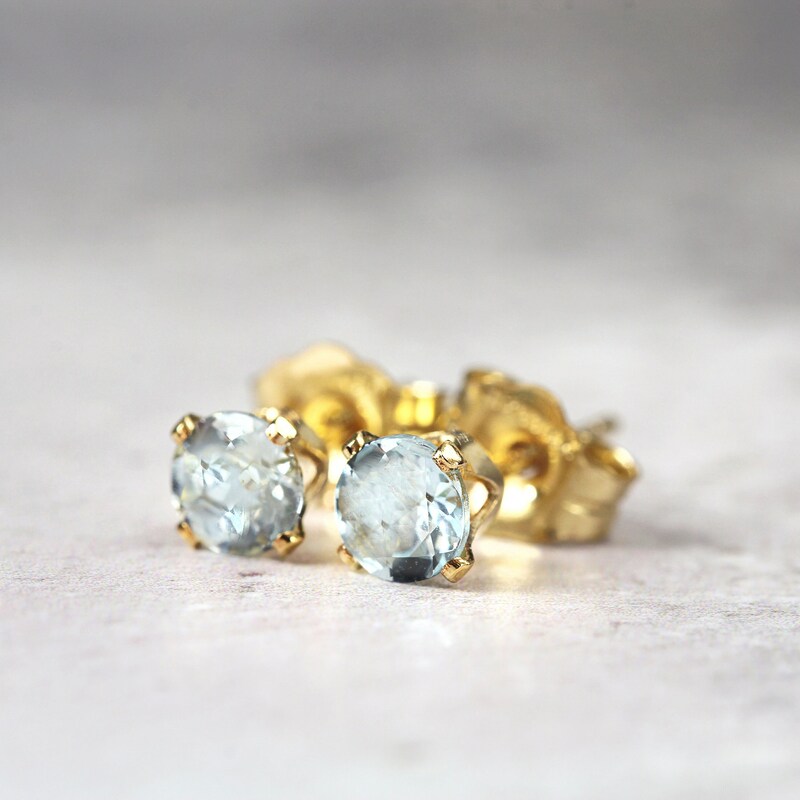 I love these earrings. The stones have fire and the earrings look expensive. 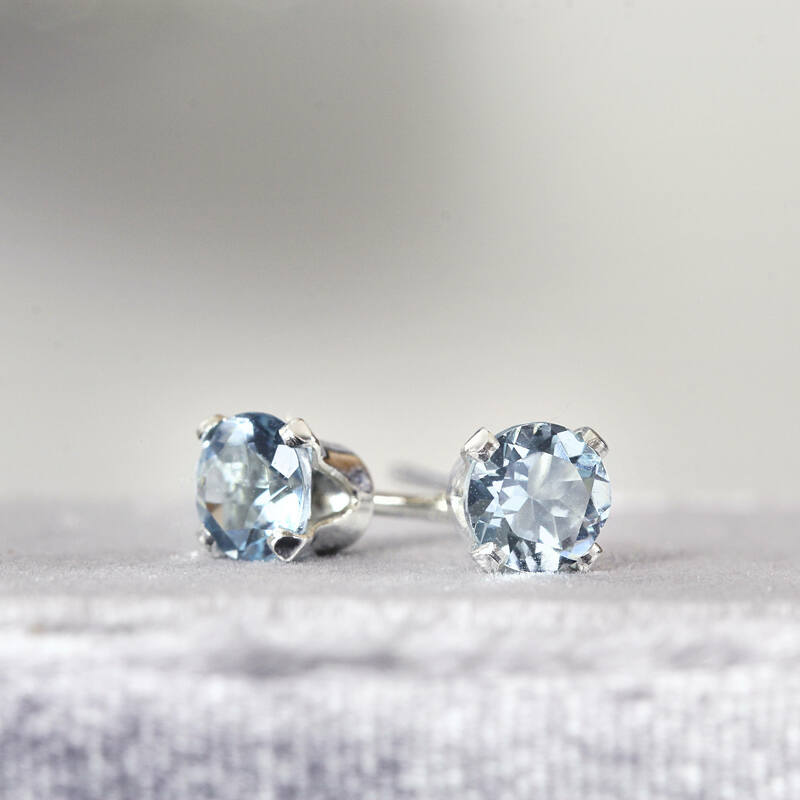 If I didn't know they were aquamarine, I would swear they are blue diamonds. Worth the wait. Beautiful craftsmanship. I bought this for sister’s birthday. I didn’t get to see them, but she says they are stunning. 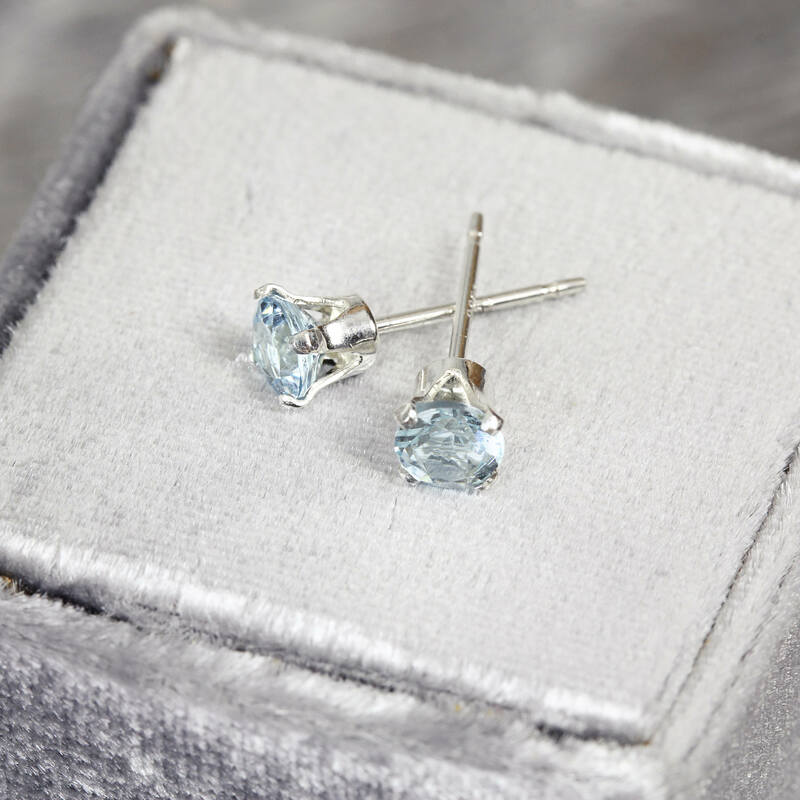 I love it for one it is my birthstone..and she went the extra mile to make me some..when they were sold out..There special to me.